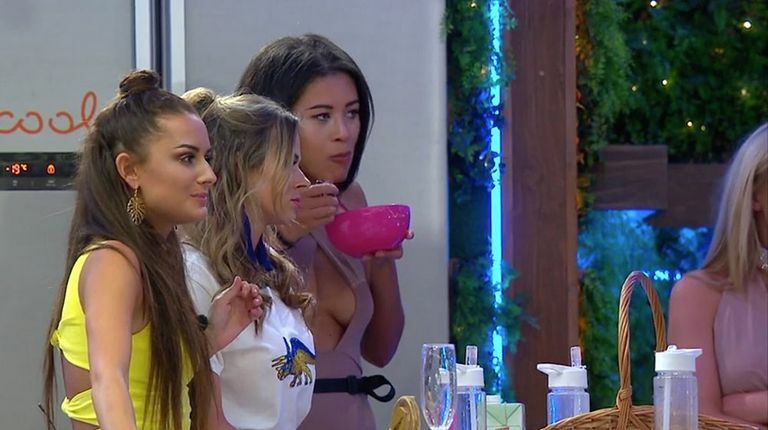 It all kicked off last night on ITV2’s so-called entertainment show Love Island as a big fight broke out among the boys. Sam, who was coupled up with Olivia, got angry at snakey Chris who was trying to steal his girl – it all sounds a bit playground so far, but then it escalated. I’m sure that it was all very exciting and that someone somewhere cares but it wasn’t the fight that caught the internet’s eye. Instead it was islander Montana who is now a hero on Twitter. Like most of us Montana couldn’t be less interested in the argument and decided to instead just crack on with digging into her big bowl of cereal. Even when everyone left to give Olivia and Sam some space to sort things out Montana stayed to finish her delicious cereal. Hopefully the next episode will be more exciting for you Montana… and us!